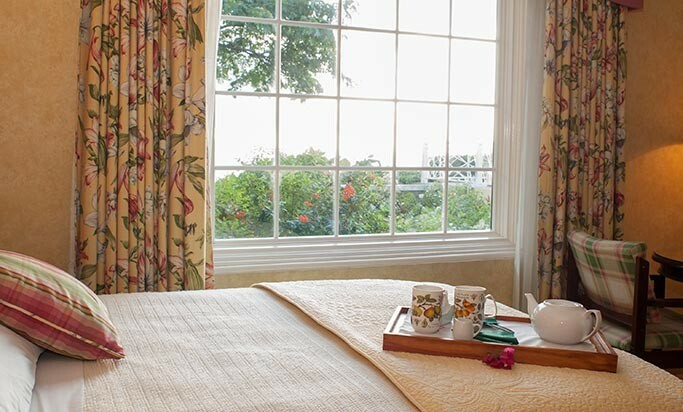 A spacious room on the lower level with a beautiful view of the bay and mountains beyond. 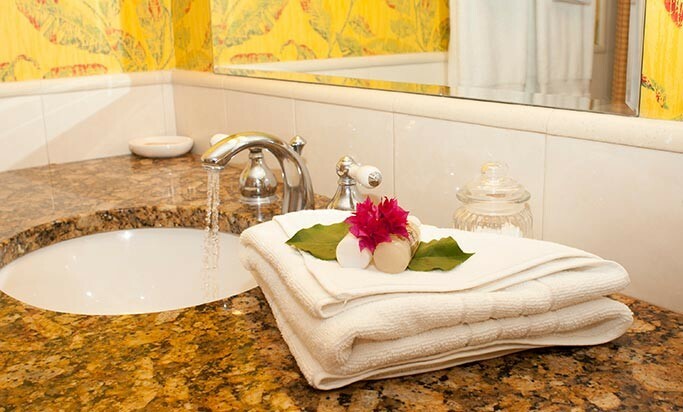 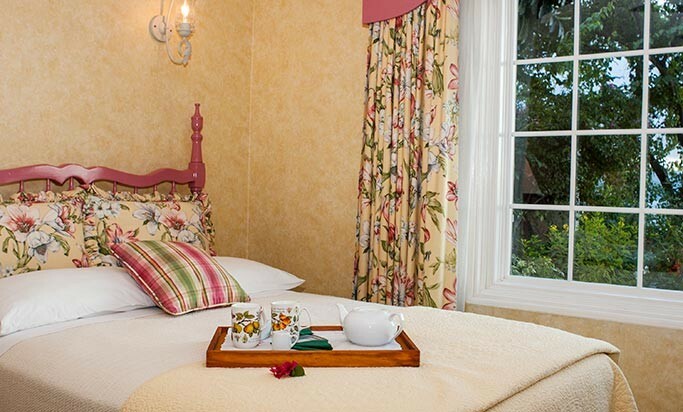 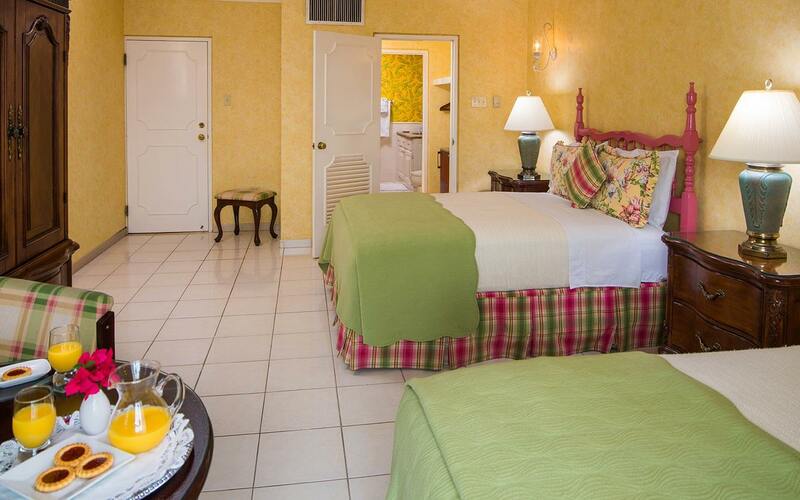 This room is perfect for your Jamaica weekend getaways! 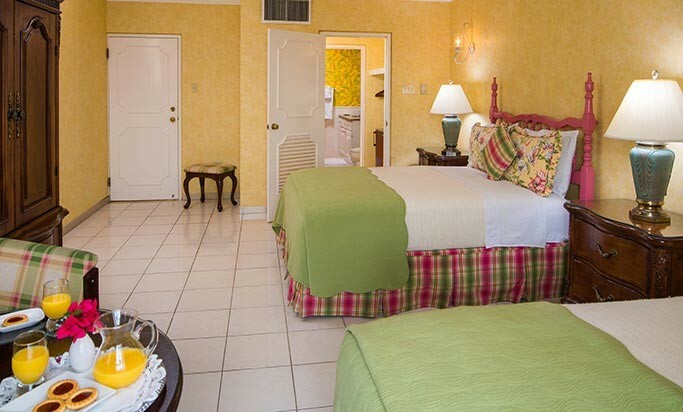 Includes two double beds suitable for up to four guests, a large walk-in closet and a bathroom en suite with granite countertops and a tub/shower.